Aircraft propeller-to-person accidents and injuries are not common, but they can be serious and even fatal. According to the AOPA Air Safety Institute, injuries or fatalities related to crew, ground personnel, passengers, or bystanders walking into a turning prop are reported almost every year. Fortunately, adhering to proper safety precautions can easily prevent these incidents. Here are several safety considerations to ensure greater propeller safety on the ramp. It’s important to remember that the propeller is an extension of the engine. Pilots and passengers should always exercise caution when in the vicinity of the propeller, even if the engine is off. The AOPA advises pilots to assume the ignition has been left in the “on” position and that the engine could start at any moment. Pilots should periodically check that the aircraft engine’s dual magneto systems have properly shut down the engine to avoid the risk of an unexpected start or backfire. The aircraft’s engine should always be shut down for loading or discharging passengers or cargo. Even if you give careful instructions to passengers or crew, the engine noise can make it hard for them to understand your directions. If you do need assistance, first shut down the engine and then brief your assistants on their task. As a pilot, it’s your responsibility to make sure your passengers understand the danger of a moving propeller. Spinning propeller blades are difficult to see in the daytime and nearly invisible at night. 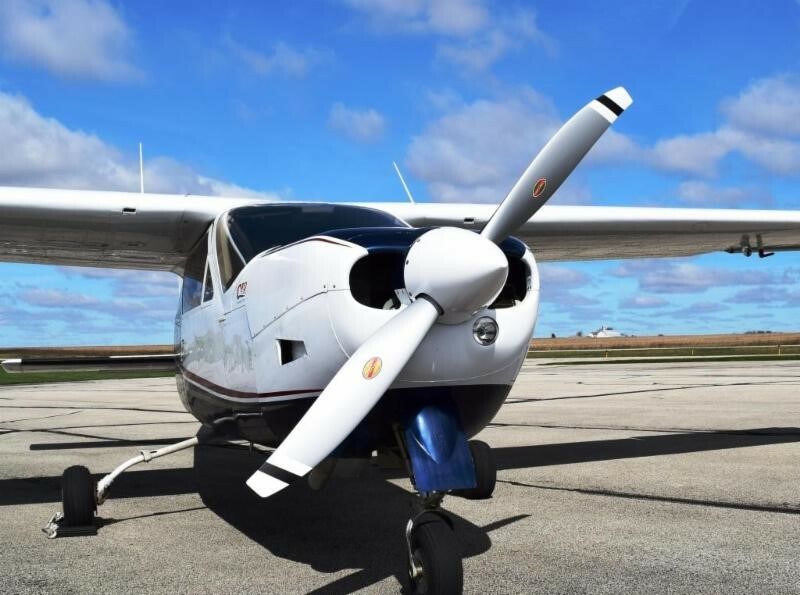 At Hartzell Propeller, we encourage pilots to choose a propeller paint scheme with blade-tip markings in contrasting colors to enhance the visibility of the spinning prop. Before any flight, pilots should explain to passengers which areas of the aircraft should be avoided, especially when approaching or exiting the cabin. Be aware of your passengers’ movements and kill the engine immediately if someone begins to walk in the direction of a spinning prop. Propeller strike accidents may be infrequent, but they are dangerous. Take caution to prepare your guests and passengers before every flight to avoid a propeller-related incident.